DALLAS and MINNEAPOLIS, April 16, 2019 (GLOBE NEWSWIRE) -- GWG Holdings, Inc. (Nasdaq: GWGH) and The Beneficient Company Group, L.P. (BEN) today announced an agreement between BEN and Jon Sabes, Chairman and CEO of GWG, and Steven Sabes, a director of GWG, pursuant to which GWG and BEN will significantly expand their strategic partnership. Through a series of transactions, the expanded partnership enhances and accelerates one of the most innovative service and liquidity providers in the rapidly growing alternative asset industry. BEN and GWG launched their strategic relationship through a transaction that was completed on December 28, 2018 (the “Prior Transaction”). The Prior Transaction furthered both companies’ long-term objectives to expand the scope of the respective products and services they each provide to investors in alternative assets. As a result of the Prior Transaction, GWG holds approximately 86% of common partnership units of BEN and a $193 million commercial loan receivable from BEN. In addition, GWG issued approximately 27 million shares of its common stock and issued $367 million in L Bonds to certain trusts (the “Seller Trusts”) that sold the BEN common partnership units to GWG. As a result of the Prior Transaction and the transaction announced today, BEN will own approximately 7.6%, and the Seller Trusts will own approximately 79% and the voting control, of GWG’s outstanding common stock. Under the agreement to expand the partnership between BEN and GWG, GWG’s founding shareholders – CEO Jon Sabes and Steven Sabes – agreed to transfer all of their GWG common stock to BEN and a limited liability company (SPV)— controlled by an entity related to Thomas O. Hicks and whose members include entities related to Brad K. Heppner and Hicks—in exchange for cash and a passive interest in the SPV, which also owns approximately 7% of the BEN founders’ interest in BEN. GWG will continue offering L Bonds, which support a more diversified, higher yielding portfolio of institutionally managed alternative investment holdings. BEN and GWG expect to realize significant strategic benefits under this expanded partnership, and accelerate the companies’ growth through an aligned operational focus on core competencies. GWG and InsurTech Holdings will explore opportunities for InsurTech Holdings, Life Epigenetics and YouSurance to become independent of GWG on commercially reasonable terms. Jon Sabes will be available as an executive advisor to the GWG leadership team as he focuses his efforts on his role as CEO of InsurTech Holdings, LLC. Murray Holland, a Trust Advisor of the Seller Trusts, will become Chief Executive Officer of GWG. GWG’s board will be expanded from seven to up to thirteen members, and individuals serving on BEN’s current board of directors, including Brad K. Heppner and Thomas O. Hicks, will replace the current members of GWG’s board. The current members of BEN’s leadership team can be found at www.beneficient.com/leadership.htm. Completion of the transaction is subject to the satisfaction of certain additional customary conditions and is expected to occur on or before April 30, 2019. Additional details regarding the transactions are contained in a Form 8-K to be filed by GWG with the Securities and Exchange Commission. GWG intends to restate its third quarter 2018 financial statements to reflect the initial closing in the two-step closing of the Prior Transaction with BEN. The initial closing of the Prior Transaction, which occurred on August 10, 2018, was subject to a potential unwind unless and until there was a final closing. Because of the potential for an unwind, GWG took the position, after discussion with its independent registered public accounting firm, that the transaction should be treated as a single transaction at the final closing and therefore its third quarter financial statement should not reflect the initial closing. The transaction was fully disclosed in the footnotes to GWG’s third quarter financial statements. The final closing took place on December 28, 2018. In preparation for filing its 10-K for 2018, GWG requested guidance from the SEC on the accounting position that the Prior Transaction be treated as a single transaction upon the final closing. The SEC concluded that the initial closing should have been treated as a separate transaction and that the offsetting assets and liabilities should have been reflected on GWG’s third quarter financial statements. Accordingly, GWG’s audit committee has determined that GWG will restate its financial statements for the three and nine months ending September 30, 2018. As a result, related press releases, earnings releases, and investor communications describing GWG’s financial statements for these periods should no longer be relied upon. The restatement is largely balance sheet related and does not impact previously reported net loss attributable to common shareholders or stockholders’ equity. GWG anticipates that it will soon file an amended Quarterly Report on Form 10-Q for the period ended September 30, 2018, to amend and restate its financial statements. 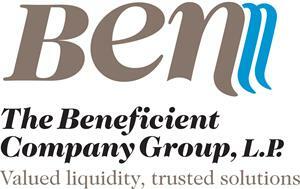 As a result of the accounting for certain assets and liabilities exchanged in the transaction with BEN and BEN’s on-going financial statement audit, GWG notes that it will not be able to file its Annual Report on Form 10-K for the year ended December 31, 2018 or the financial statements and other information required to be filed on a Form 8-K/A related to the Prior Transaction on a timely basis. GWG is working diligently to resolve these issues and expects to file these reports as soon as practicable. Additional details regarding the restatement are contained in a Form 8-K to be filed by GWG with the Securities and Exchange Commission. Based in Dallas, BEN provides liquidity products and services to the owners of alternative assets and illiquid investment funds. BEN offers an array of liquidity products to mid-to-high net worth individuals, family offices and small-to-mid-size institutional investors. In addition to liquidity offerings, BEN plans to offer a variety of services; including, custody and clearing of alternative assets, fund and trust administration, retirement funds and insurance services for covering risks attendant to owning or managing alternative assets. For more information about BEN, visit www.beneficient.com. GWG Holdings, Inc. (Nasdaq: GWGH), is the parent company of GWG Life, Life Epigenetics and YouSurance. GWG Life is a leading provider of liquidity to owners of life insurance in the secondary market. GWG owns a portfolio of alternative life insurance assets equaling $1.96 billion in face value of policy benefits as of September 30, 2018. Life Epigenetics is commercializing epigenetic technology for the longevity life insurance industry and other industries. YouSurance is a digital life insurance agency working to embed epigenetic testing into life insurance products to provide consumers a value-added ecosystem that supports their health and wellness. For more information about GWG, visit www.gwgh.com. This press release contains forward-looking statements that involve substantial risks and uncertainties. All statements, other than statements of historical facts, included in this press release regarding our strategy, future operations, future financial position, future revenue, projected costs, prospects, plans and objectives of management are forward-looking statements. The words "anticipate," "believe," "estimate," "expect," "intend," "may," "plan," "would," "target" and similar expressions are intended to identify forward-looking statements, although not all forward-looking statements contain these identifying words. These forward-looking statements include, among other things, statements about the (i) projected financial performance of Beneficient and/or GWG Holdings; (ii) completion of the transaction described herein; (iii) expected development of the business of Beneficient and/or GWG Holdings; (iv) execution of the business plans and strategies of Beneficient and/or GWG Holdings, (v) anticipated timeframe for restating our third quarter 2018 financial statements, filing our Annual Report on Form 10-K for the year ended December 31, 2018 and filing the information required to be filed on a Form 8-K/A related to the Prior Transaction. We may not actually achieve the expectations disclosed in our forward-looking statements, and you should not place undue reliance on our forward-looking statements. Actual results or events could differ materially from the expectations disclosed in the forward-looking statements that we make. More information about potential factors that could affect our business and financial results is contained in our filings with the Securities and Exchange Commission. Additional information will also be set forth in our future quarterly reports on Form 10-Q, annual reports on Form 10-K and other filings that we make with the Securities and Exchange Commission. We do not intend, and undertake no duty, to release publicly any updates or revisions to any forward-looking statements contained herein.